Birmingham is still a city in transformation - a UK location which has seen one of the biggest overhauls in the history of the Isles. Within a couple of decades it has gone from a fairly run-down industrial city to a modern and bustling city that has something to offer even the most picky European explorer. The Grosvenor Casino in Birmingham offers gamblers, locals and visitors and excellent venue to enjoy a good night out with fun and drinks. The casino itself holds its doors open to anyone wanting to gamble 24 hours a day, seven days a week. Located on 84 Hill Street, right behind the Birmingham New Street train station - it has an ideal location for almost anyone in Birmingham. The gambling floor at the Grosvenor Birmingham Casino has a good selection of games without going over the top and losing focus on what gambling is all about. Gamblers will find numerous tables that offer American Roulette and Blackjack. Alongside this the casino offers a decent amount of electronic gambling machines. No casino would be complete without a decent section for slot games and this casino is no different. Slots ranging from the most basic to the more advanced can be found all throughout the casino. The layout of the gambling floor is on that is similar to most other Grosvenor casinos, with the tables being right at the heart of the room and slots flanking the walls to maximize the amount of space for gamblers. Almost every major Grosvenor casino seems to be dedicated to the game of Poker and the one in Birmingham is no different. Daily cash games are flooded with local talent. For more information on the Poker schedule visit the casino's website. Birmingham has seen their culinary influences flourish over the last few decades and the casino has tried to keep up. The Grosvenor Grill restaurant is a place where you can find some really nice dishes to fill your stomach. By this name alone it is quite easy to guess what type of food is on offer for gamblers. Sirloin steak, rib eye steak and fillet stake are used handsomely to create some of the best grilled dishes that you will find in Birmingham. One of the nicer features of the restaurant is the other grilled dishes on offer - including grilled Sea Bass, Salmon and Pork. These dishes are complimented by a few curries, and vegetarian dishes to make it a very comprehensive menu. Even though the casino website does not show that they have a sports bar - the casino bar shows a number of local, national and international sporting events for gamblers. Premiership, La Liga and Champions League games are shown on multiple screens in the bar area as well the Poker area to keep gamblers even more entertained while they enjoy the great games that this casino has to offer. It is sometimes hard to get to grips with what some casinos has to offer in terms of Events and Promotions. 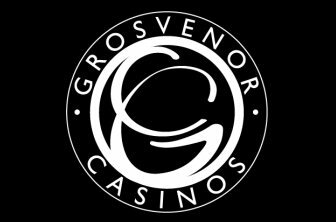 One thing that you will know for sure is that every Grosvenor Casino is a part of the Grosvenor Reward Scheme. Sign up and you will instantly get access to a bunch of promotions. Not only that, you will collect points on everything you spend in the casino - points you can redeem for food, drinks, entertainment or chips to gamble with. On the Grosvenor Birmingham events website we find that there are not that many events being promoted. In fact - the casino spends more time promoting new menus for bars and the restaurant rather than events and entertainment. If you are looking for a few Poker tournaments in the Birmingham area you need not look any further. The casino has recently released its new tournament schedule which means that there is at least one tournament taking place every day. There is also at least one major tournament taking place every month where the guaranteed prize money reaches a staggering £6,000. For the Poker player that is not in to tournaments there are several cash games being played on a daily basis as well - so just head over to the casino and join in. Birmingham is a place which has impressed me even more every time I have visited the city. With the Grosvenor Casino on Hill Street is just another reason why I will be heading back to Birmingham as soon as possible. It is an almost complete casino that offers fine dining, great games and an overall exciting atmosphere. There are some minor flaws with the venue - including the lack of entertainment listings. But with this I am really just trying to find flaws rather than sharing my opinion. Poker players and gamblers alike will love the excellent variety in games - especially if you are in to tournament play. Our best advice would be to join the Grosvenor Rewards Scheme in order to maximize what you get out of your gambling experience. Keep in mind that these points can be earned at any casino in the UK, so if you already have a card from a different casino then you should definitely bring it along when you visit the Grosvenor Casino at Hill Street in Birmingham.